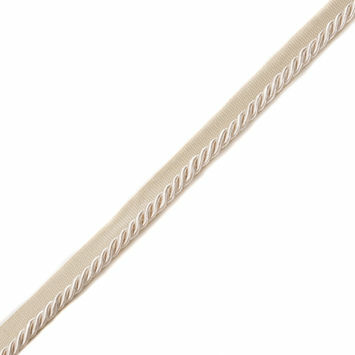 Twisted Cord Trim is perfect for adding a touch of elegance to any ensemble. Twisted cord is simply two or more cords that have been twisted together. This looks elegant and has the added benefit of making the cord more sturdy. 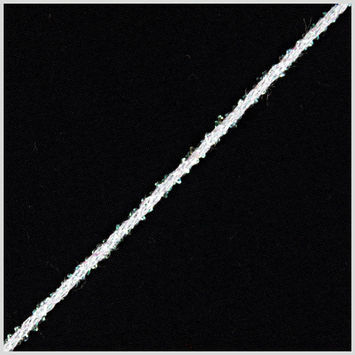 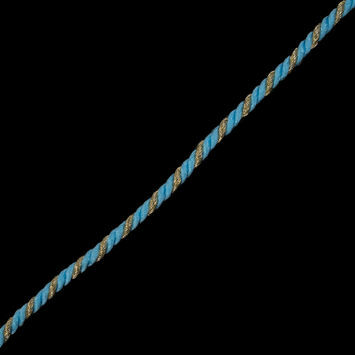 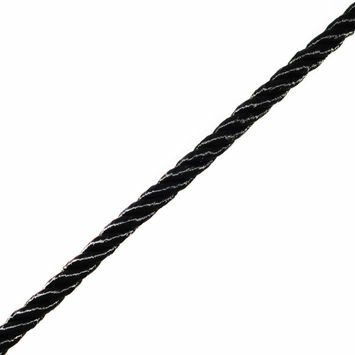 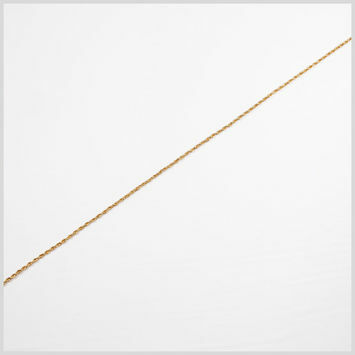 Cord is a simple tool that was developed thousands of years ago, one that has been utilized by humans for everything from fashion to function. Originally they were made from plant fibers, but now can be a variety of synthetics. Add twisted cord trim to peasant blouses for a renaissance feel, or utilize it to create stunning accessories. 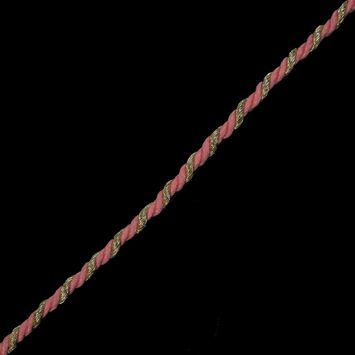 Metallic Gold and Pink Twisted Cord - 0.375"
Metallic Gold and Light Blue Twisted Cord - 0.375"
Magenta Twisted Cord with Black Lip - 0.5"
Red Twisted Cord - 0.25"
Navy Cotton Blend Twisted Cord Trim - 0.25"
Chocolate Cotton Blend Twisted Cord Trim - 0.25"
Black Cotton Blend Twisted Cord Trim - 0.25"
Brown Cotton Blend Twisted Cord Trim - 0.25"
Ivory Cotton Blend Twisted Cord Trim - 0.25"
Striped Twisted Cord Trim with Lip - 0.25"